Overview of Cloudflare Services and Plans. About getting your own Domain. Migrating your Domain to use Cloudflare's DNS Server. Specifying Hosts that require Cloudflare Service. 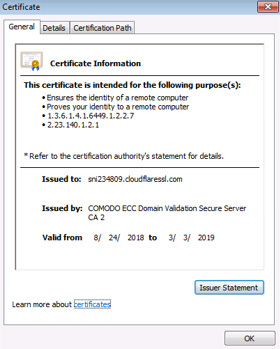 Verify the working of HTTPS provided by Cloudflare. Analytics reports provided by Cloudflare. Different modes of using SSL (e.g. your equipment does not support HTTPS). Special setup if your Web Server has dynamic IP address. Web server logging messages after using Cloudflare. Data that will be cached Automatically. Specify other data for caching. Default and custom cache settings. Rate Limit - based on pattern or threshold. Access Rules for blocking one or a range of IP addresses. Using scripts to query / modify Cloudflare settings. Sample self-made web page for query / modify Cloudflare API. Brief introduction about Load Balancing.